Old french Villa, western end of An - Khe Airfield Nov/Dec 1965. 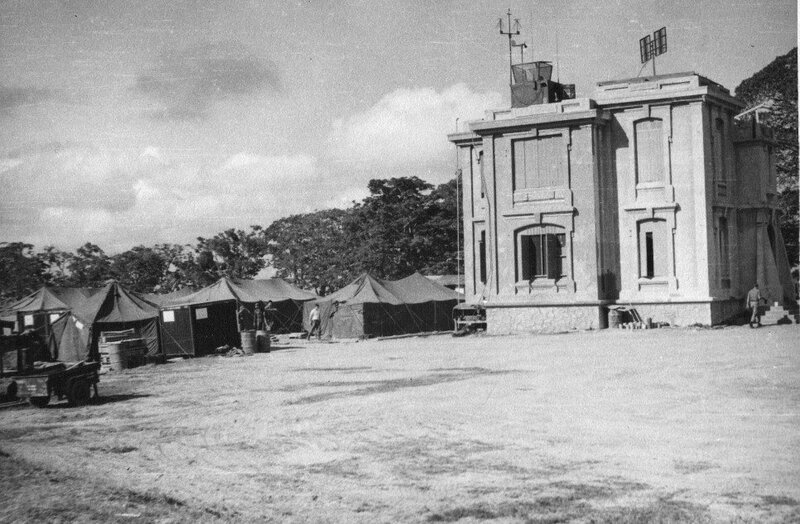 This former command post of NVA/PAVN forces in the area, was utilised as a Control tower for Cav operations. 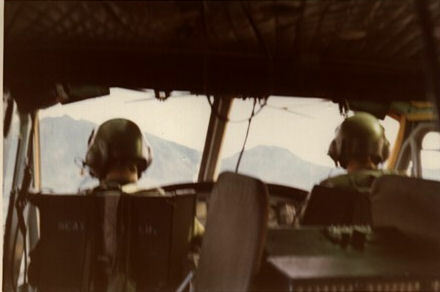 ( not to be confused with the An-Khe 'golfcourse' Heliport ) Several areas around the base were still off-limits, due to as yet 'uncleared', old japanese and french minefields. Conditions were still pretty basic at this stage and GP tents were the order of the day. This is an inside view of Red Hawk 1, the 11th CAG commanders bird. I think the AC was Col. Cass.